We are re-releasing 12 years of podcast content! Watch as we continue to polish the listing here as the content pool continues to grow! There are a variety of topics. There are a variety of venues. 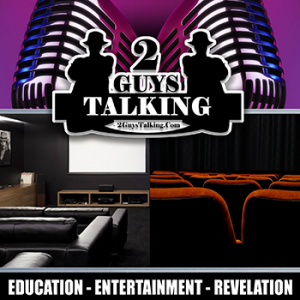 From the classic nostalgic feature films of yesteryear to DVDs and Blu-rays from last week to the hottest in streaming online entertainment, The 2GuysTalking Podcast is your first, best stop for engaging, educational podcast content. 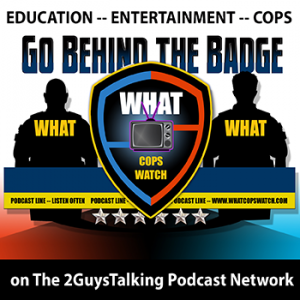 The 2GuysTalking Podcast on iTunes: Subscribe Now! 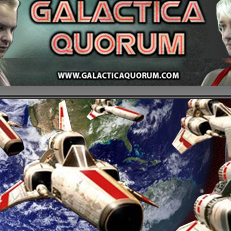 It began as the “Ultra-Quick & Humorous Recamp” Recap segment inside the original “24Podcast.Com” effort detailing the “Worst Days of Jack Bauer’s Life” during “24” on Fox. 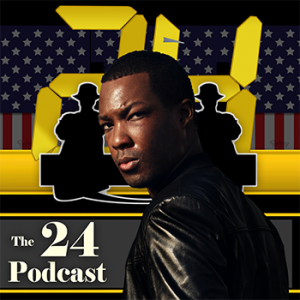 Now, it includes “24: Legacy, the Worst Minutes and Hours of Army Ranger Eric Carter!” Either way, it’s quick, humorous and a perfect way to catch up with “24” with a side order of giggle. 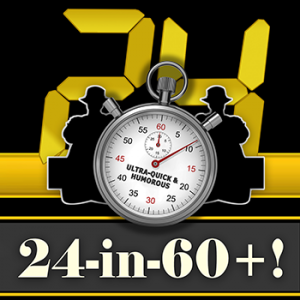 The 24-in-60+! 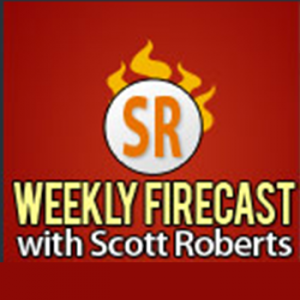 Podcast on iTunes: Subscribe Now! Cars and trucks aren’t just vehicles – they are FREEDOM. When you mix them with feature films and television programs, the nostalgic stew you get is intoxicating. Enjoy each and every helping of 2GuysTalkingCars – an Always-Educational Look at the Vehicles of Television and movies. Join hosts Ron Reiling (The Car Guy) and Mike Wilkerson (The Pop Culture Entertainment Guy) to learn more about it all! 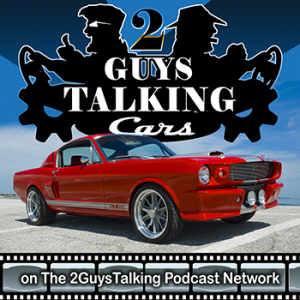 The 2GuysTalkingCars Podcast on iTunes: Subscribe Now! The legacy of Doctor Who is a lot longer than most people know. There is so much to enjoy about the program whether it be the recent iterations of the previous Doctors. Wouldn’t it be great to have a podcast that details – it ALL? 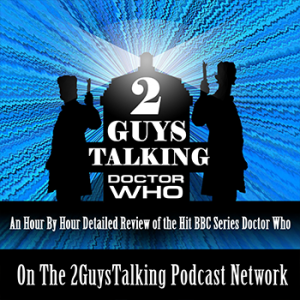 Check out The 2GuysTalkingDoctorWho Podcast where hosts Aaron Antonis and Kevin Harrman detail the endeavours of he who wields the Sonic Screwdriver! Horror is way more than just blood, guts, screams and jump-scares. It’s an industry that appeals to the fundamental core feelings and tendencies but – why? 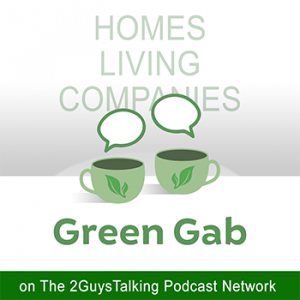 Why do you react the way you do and what does the industry offer from the past, now and the future> Learn ALL about it with your host Nicholas J. Hearne and a growing listing of guests host and they detail it all! 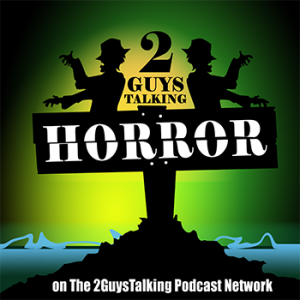 The 2GuysTalkingHorror Podcast on iTunes: Subscribe Now! The sport of MMA continues to evolve and the up & coming groups of fighters have never been more talented, explosive and ready to throw down. Don’t miss the detailed, information and educational review of The Ultimate Fighter on Fox Sports 1 by hosts Jeremy Johnson and Mike Wilkerson. Each episode includes the vital information you’ll need to learn how to detect quality entertainment of all kinds! 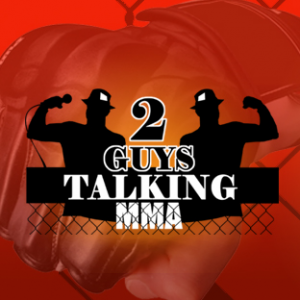 The 2GuysTalkingMMA Podcast on iTunes: Subscribe Now! Poker, regardless of it’s implied, historic reputation, is a game of skill. 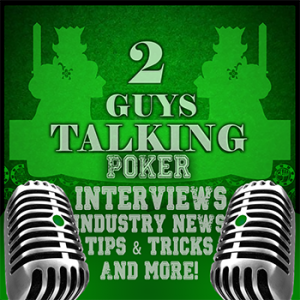 Learning about the news, the players, the Tournaments and the habits that surround it all is easy – as long as your listening to 2GuysTalkingPoker. Hosts Vic Porcelli & Andy Kazen provide you with details from an incredibly unique and detailed perspective that includes great interviews from poker industry legends and more! 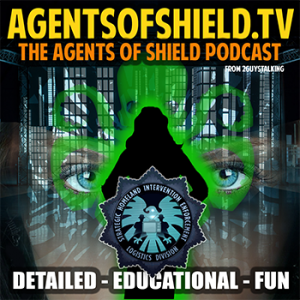 The Agents of SHIELD Podcast on iTunes: Subscribe Now! Your pet is MORE than an animal. It is not even just a member of your family – it’s deeper than that. 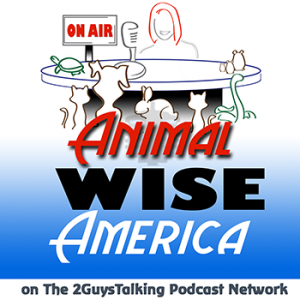 Check out The Animal Wise America Podcast where veterinarian Dr. Tara Brooks welcomes guests of all kinds to help you understand the value of our pets and your adoration of them. What can be done for those suffering from substance addition? The answers vary depending on whom you ask, but the reality is that there are always options. 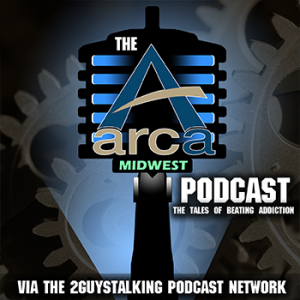 Be sure to check out The ARCA Midwest Podcast where host Phil Treacy welcomes those who have faced and beaten a variety of addictions with the help of the experts at ARCA Midwest. The ARCA Midwest Podcast on iTunes Now! The stories of overcoming challenges aren’t a new thing. They’ve been around a long time. The Bible, their lessons and truth have also been around a long time. 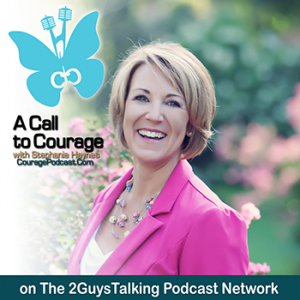 Join host Stephanie Haynes as she welcomes a variety of guests who detail their struggles and triumphs to help craft a picture of positive influence that is a TRUE Call to Courage. A Call to Courage Podcast on iTunes: Subscribe Now! 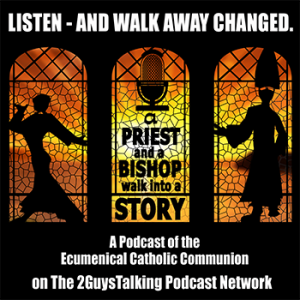 A Priest and a Bishop Walk Into a Story on iTunes: Subscribe Now! The world of conspiracies – is ALIVE. Join Dr. Michael Lynch, and his cohosts as they traverse a variety of programs that the how, when, why and what of today’s most prolific conspiracies! 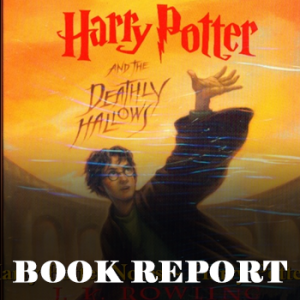 From JFK, to the Nephilim, to Hitler’s Escape to the West Coast of the US – it’s all here and detailed for you! 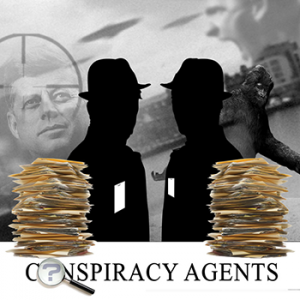 The Conspiracy Agents Podcast on iTunes: Subscribe Now! While the Showtime original series DEXTER had it’s ups and downs when it was airing live, it has found renewed, vibrant attention since being released to a new, HUGE online streaming audience. The tales of Dexter, a Miami Dade County Criminal Investigative Specialist – who moonlights as a serial killer – are the stuff of legend. Have you taken time to listen to Mike and Scott’s viewpoints on a program that started out twisted and ended up in black and red plaid? It’s a lot stranger than even you can think. Check it now! 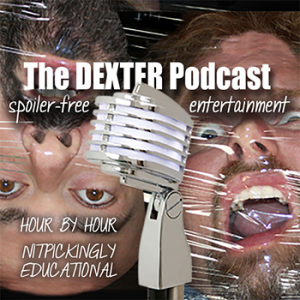 The DEXTER Podcast on iTunes: Subscribe Now! One of the most grand things about fishing is that the tips, tricks and detail – work almost everywhere. While the weather, terrain and bait types are a factor, the truth of what has become Tournament Bass play in all it’s incarnations is fun to talk about. Join host Glenn Wells as he welcomes a variety of professional anglers to talk about how to make a difference when YOU hit the water. 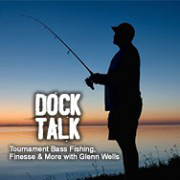 The Dock Talk Podcast on iTunes: Subscribe Now! The world of Small Business is one that changes from minute to minute. Be sure to check out The Entrepreneur’s Corner Podcast for some great insight, information and truth that’ll help carry your business to the next level! 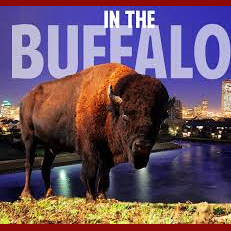 It’s another great project from Richard J. Sacks, the founder of The Sacks Group. Families change faster than anyone can guess, and it’s great to have a place on the Internet to keep a constant “pulse” on what’s going on when it comes to family input, interaction and success. Be sure to check out The Family In Balance Podcast, with your host, Leisa Jenkins, who shares her perspective, experience, and idea to help your family be in balance. The Family In Balance Podcast on iTunes: Subscribe Now! The Fangbanger Podcast from 2GuysTalking is your first, best stop for all things True Blood – but more importantly – the best showcase for “All Thangs with Fangs in Entertainment.” Whether it’s a quality creature feature of the 1960’s, a review of the most recent creature feature gracing the silver screen, or regular jaunts into the always-expanding 2GuysTalking HQ DVD & Blu-ray Library, The Fangbanger Podcast has the quality, unique, one-of-a-kind reviews you can trust. The best part? We want to know what YOU thought about the things we review! The Fangbanger Podcast on iTunes: Subscribe Now! Grandfathers convey a lot of lessons. 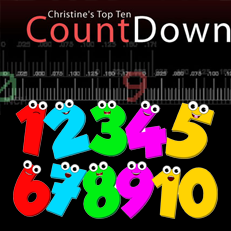 How many did YOU listen to when you were younger? Don’t miss out on an interesting perspective of a former Navy Vet, Entrepreneur, Father, Grandfather and guy that’s seen a lot during each and every quick-hitting episode of Fast Freddie’s Castle of Common Sense. 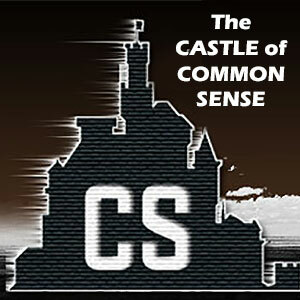 Fast Freddie’s Castle of Common Sense on iTunes: Subscribe Now! The hit Fox series “The Following” – well – wasn’t so hit. In fact, it’s the only show that The 2GuysTalking Podcast Network has ever KILLED a review program on! 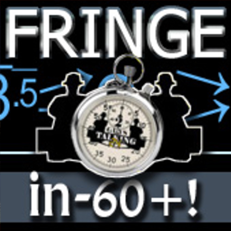 The fact is that the program lent itself wonderfully to the “in-60+!” format very well. 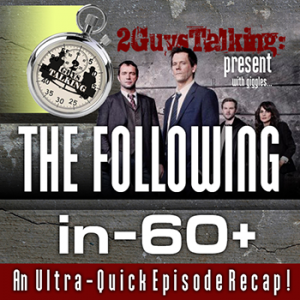 Be sure to check out an “Ultra-Quick & Humorous Recamp (recap) of each of the first two seasons of The Following – ONLY from 2GuysTalking. The Following-in-60! 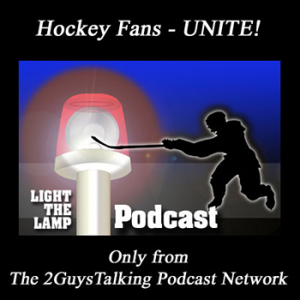 Podcast on iTunes: Subscribe Now! 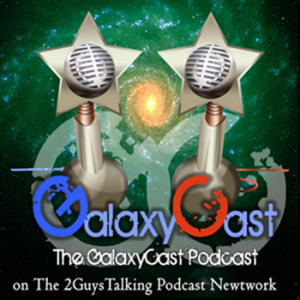 The GalaxyCast Podcast on Stitcher: Listen Now! Did you ever wake up in the middle of the night and say “that’s what I should have told that so and so…”? Or maybe you told so and so exactly what you were thinking and woke up in the middle of the night only to regret your words. While you can’t always get what you want, you can live vicariously through Shelly Schneider when she sticks her foot in her mouth. Wife, mother, alter ego to Sarcastic Woman and award-winning columnist. Experience life through Shell’s eyes. Sometimes she’s a half-wit, sometimes she goes off half-cocked: many time she operates on only half a tank – but she always looks at the cup as half-full. 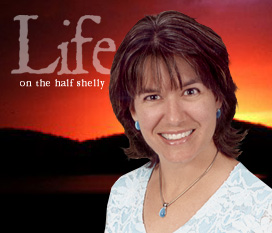 It’s all a part of Life on the Half Shelly. 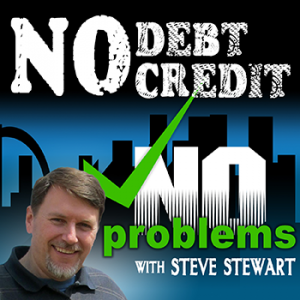 The No Debt, No Credit, No Problems Podcast on iTunes: Subscribe Now! The Perspective Review Series Podcasts on iTunes: Subscribe Now! There’s a world of perspective that’s been collected inside the Brain of Vic Porcelli over the years. From growing up on the East Coast, to coaching kids baseball, to bringing up a great family in the St. Louis area, to Tournament Poker Play, to being one of the most prolific voices of St. Louis radio for more than 25 years well – it’s simple. 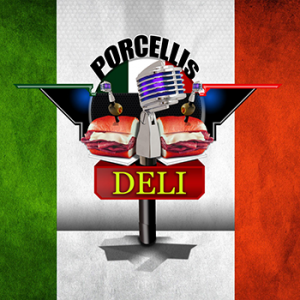 There’s a LOT to order from the counter at Porcelli’s Deli. Order’s up! 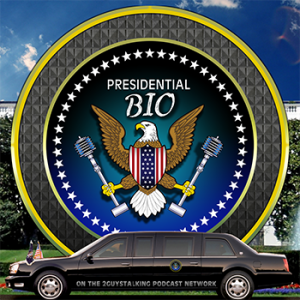 The Presidential Bio Podcast on iTunes: Subscribe Now! 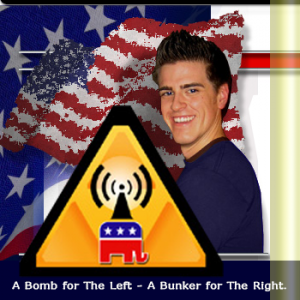 The Q – Hosted by Mark Bland is about EVERYTHING and is liberal/moderate radio for people with a brain! “The Q”… is that a question? Well actually, think of it like this…it is whatever you want it to be and also it has some meaning. “The Q” is a question. 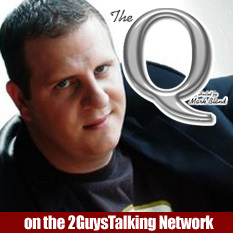 It’s also a reference to downloading in the computer age where things are “que’d” Now it’s time for you to get “Q’d!” Each week, Mark discusses interesting entertainment and worldwide topics that will make you think and question. Opinionated stuff? Sure! The beauty is, you get to tell us what YOU think! The Q Podcast on iTunes: Subscribe Now! The avenue of small business turns on a dime, and there’s never been a more vital need for short, to-the-point bites of information to guide those that continue the quest for success. Kent Martin shares perspectives, theories and outright facts of how businesses, both large and small communicate and how YOU can strengthen and improve your company communications during The 2GuysTalking Small Business Communications Podcast. 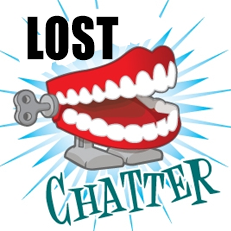 The Small Business Communications Podcast on iTunes: Subscribe Now! It is physically impossible to listen to all the new music. There are over 3,000 albums released every week! You can’t do it and it wouldn’t be fun to try. Song Spotters Justin and Adam wade into the overflowing waters of new music with a simple plan. 1) Make a playlist of 60-100 new tracks that samples the week’s new EP and LP releases. 2) Listen in seclusion so they don’t influence each other’s opinions 3) Spotlight their Top 5 Spots on their weekly podcast and 4) Leave the full sample playlist available to their listeners to foster discussion, dissent, and a collective approach to music discovery. 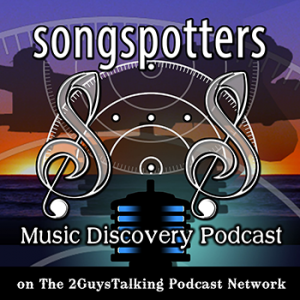 The Song Spotters Podcast on iTunes: Subscribe Now! 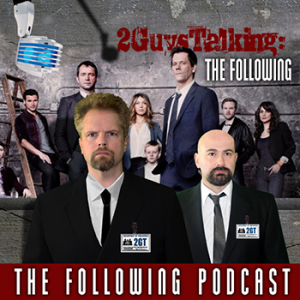 Science Fiction has always had an enormous following and we’re happy to provide yet another flavor at The 2GuysTalking Podcast Network boutique for them to take a regular and entertaining bite! 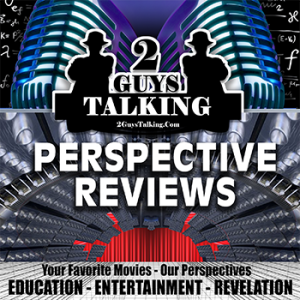 It’s The 2GuysTalking TERMINATOR Podcast, providing you with not only a series of great unforgettable reviews of all four theatrical TERMINATOR films, but a weekly podcast that followed and showcased the Fox show, “The Sarah Connor Chronicles” that started in January, 2008! 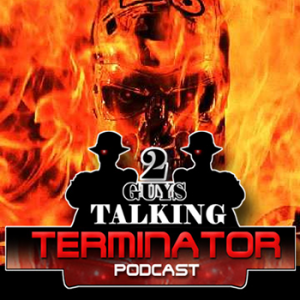 It’s not a fiery nuclear death that awaits – it’s The Terminator Podcast from The 2GuysTalking Podcast Network! The TERMINATOR Podcast on iTunes: Subscribe Now! 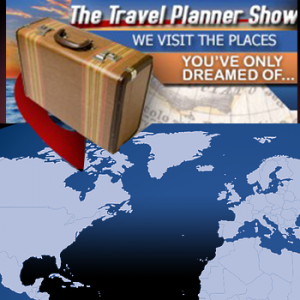 Before there were entire television channels dedicated to viewing sites around the globe, there was, The Travel Planner Show – a radio program hosted by Kevin & Sue McCarthy that took you to places and talked to people who you could only dream of visiting. 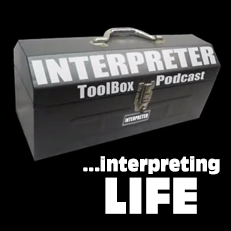 Be sure to check out their growing audio archive, as well as their regularly-updated video segments to understand more about the world around you and more! Trek to Wellness is a journal of a father, web developer and recently-diagnosed Type 2 diabetic as he navigates his way through the options, food, habits, and tribulations on a path to better well being. Add on valued product reviews, perspectives on instituting wellness into busy lives, and engaging banter via a variety of interviews, and you’ll understand why YOU need to be heading down the path to take your first step on a Trek to Wellness. The Trek to Wellness Podcast on iTunes: Subscribe Now! What do you believe and why do you believe it? Just because you believe something doesn’t make it true. It either is or isn’t. Truth Matters. You don’t have to check your brain at the door for this show. 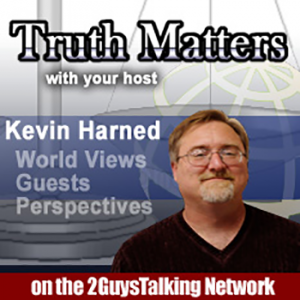 The Truth Matters Podcast on iTunes: Subscribe Now! 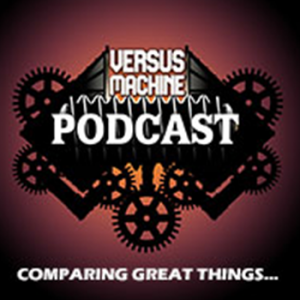 This is the Versus Machine Podcast – a comparison of great things.The Versus Machine takes on two works of art, one source material and one adaptation, and processes it through to discover the differences and similarities of the two. Whether those differences are good or bad is up to you! After all, it’s what happens when you transform one medium into another. It’s time to engage, The VERSUS MACHINE. The Versus Machine Podcast on iTunes: Subscribe Now! 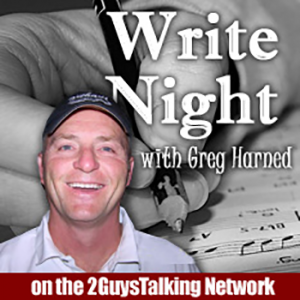 The Write Night Podcast on iTunes: Subscribe Now! We are always on the hunt for more podcast content to grow the Network! Do you have a unique program? Ready to grow your audience? Learn how you can change the future of your podcast with the assistance from one of the original podcast content networks today!